So what is credit, anyway? How many times have you Googled a question related to your credit score, credit report, or credit cards? Do you still struggle to understand some of the concepts? Have no fear! 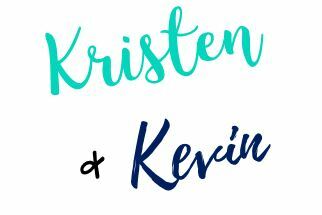 My fiancé Kevin and I are going to talk through the available credit score range, contributors to your credit, good and bad effects of credit cards, how to address incorrect credit reportings, and tips to build your credit. Do you know your score? Many people don’t know that checking your own credit report doesn’t hurt your credit score. You can use this website, which is authorized by the government, to check your report at each of the three credit reporting companies (Equifax, TransUnion, and Experian) once per year at no charge. Kevin: I personally use CreditKarma to check my credit score weekly. The app is free and gives me the ability to keep an eye on factors affecting my credit. PS: checking your score through CreditKarma doesn’t affect your credit either! Hard checks (from having a creditor run your credit to determine eligibility and applicable rates) will affect your score. Keep in mind also, if you apply for multiple lines of credit quickly, your credit score will decline. What is the available credit score range? You have a great score if your credit score is between 750-850. With a score this high, you’re perfectly positioned to get the best interest rates on all types of loans. Your score is good if your credit score is between 700-749. You’ll receive decent interest rates on your loans if your score falls in this range, and you’re destined to have higher Private Mortgage Insurance on your mortgage than if your score was great. A fair score falls between 650-699. You’ll be offered poor interest rates on your loans in this range. If your credit score is below 700, you’ll want to work on building your credit. If your score is between 550-649, you probably don’t qualify for loans because your score is poor. Do what you can to settle debts and build your credit as much as you can. Scores below 550 are considered bad and don’t qualify for loans. Work to settle debts, increase assets, and rebuild credit where possible. 35% of your credit score is determined by your payment history. In laymen’s terms, have you paid your past credit accounts in a timely manner? 30% of your credit score is determined by your amounts owed ratio. We’re looking at the total amount owed as a portion of your credit limits here. You’ll want to aim to use less than 20% of your credit limit for the best score. 15% is determined by the length of your credit history. This factors in how long your credit accounts have been established, the ages of your oldest account and newest account, and the average age of your open accounts. 10% is determined by the credit mix in use. You’ll want an assortment of credit cards, retail accounts, installment loans, and mortgage loans. 10% is determined by your new credit. You’re at higher risk if you’ve had too many new accounts opened or recent inquiries. What’s so great about credit cards anyway? The most obvious reason that credit cards are beneficial is that they help build your credit (if you pay them off each month)! Showing that you’re responsible and don’t carry a balance will help your credit score and will help you qualify for loans. Credit cards offer instant access to capital. They can help you get through to the next paycheck or that extra capital you may need at a time when you don’t have it. It’s safer to carry a credit card than cash. If you lose cash, it’s gone. If you lose a credit card, it can be replaced. Further, there’s limited fraud liability with credit cards. In most cases, you’re not responsible for the fraud on your credit card. Credit cards are accepted almost everywhere. This includes overseas! You won’t have to deal with the hassle of currency conversion if you use your credit card because the credit card company will convert to local currency for you! So why do credit cards get a bad rap? If not used wisely, credit cards can cause serious financial burdens. You can easily get into debt if you outspend your means and don’t pay your credit card bills in full each month. Additionally, if you don’t pay your bills in full each month, your interest payments will be very high. You’re essentially wasting money on interest that could be invested for your future instead! Beyond interest, if you don’t pay your monthly minimum or if you overspend your limit, you’ll be charged fees that can add up very quickly! Credit cards can cause consumers to spend more than if they dealt with cash instead. The credit card is easier on the mind to swipe than handing over cash. You can read more here if you want to learn about the credit card/cash psychology. If you run up high balances, use up too much of your credit limit, or don’t pay off your card balances, you can hurt your credit and lower your score. What do I do if something is wrong on my credit card statement? You’ll want to dispute it with the credit card company! There’s a phone number on the back of your credit card that you can call. If you log into your online account, you should also have an option there to dispute. Whether by web or phone, just make sure to reach out to them and make a claim. The credit card company will open an investigation and contact the merchant to verify the purchase. They’ll then refund your card if the charge was not valid. What do I do if something is wrong on my credit report? You need to dispute the incorrect report with each credit reporting company that the error is on. The credit reporting company will investigate and correct the errors. Further, they’ll flag the account so they know if someone is trying to steal your identity. This can be an intimidating, lengthy, bureaucratic, and exhausting process, but be patient and remain optimistic. Where should I start if I don’t have any credit? 1. Save $1,000 and apply for a $1,000 loan from a bank for 1 year with automatic repayments. 2. Secure the $1,000 loan with a $1,000 CD placed at the same bank. 3. Put the $1,000 loan funds in the same account as the automatic withdrawals for your loan and do not touch it. 4. Once the loan has aged for 11 months, add funds for the final loan payment to the account. This will build your credit and establish payment history. 5. After the bank loan has been opened for 6 months, apply for 1 credit card for consumers with limited credit, with a $500 credit limit. 6. Use this card only for gas for your car. 7. Pay the credit card bill in full every month. This will help you become accustomed to carrying and using a credit card. 1. Open a secured credit card with a $300 credit limit. 2. You will be required to send the company $300 to secure the line of credit. 3. Only use this card for gas for your car and pay the bill in full every month. 4. After a period of time (usually 6 months to a year), they will send the money back to you, and your account will convert to a regular credit line. How do I know which card to choose? When you’re just starting out, you’ll want to choose a card that does not have an annual fee. There are several good cards with rewards that don’t charge an annual fee. Kristen: My very first credit card was a Spirit Airlines credit card that gave me airline miles and didn’t charge an annual fee. I got a free trip to Vegas and a credit-building opportunity out of the deal! Once you’ve built your credit up, you can weigh the rewards with the annual fee. We personally pay for 3 credit cards with fees: 1 that gives us a free hotel night anywhere in the world each year, 1 that gives us additional airline miles, and 1 that has amazing points to travel perk conversions. Can you tell we love to travel? I want to increase my credit score. What are your tips? When you get a raise at work or have a new stream of income, go back to your credit card companies and request a credit line increase based on the new income figure. This will allow your ratio of used to available credit to lower, which helps you! If you have any credit cards (or other lines of credit) with an age less than your average age of credit that you can cancel, do so. For example, if you just opened your Macy’s department store credit card to secure a discount on a recent purchase, but you don’t actually shop at Macy’s more than once a year, you should probably cancel that card. 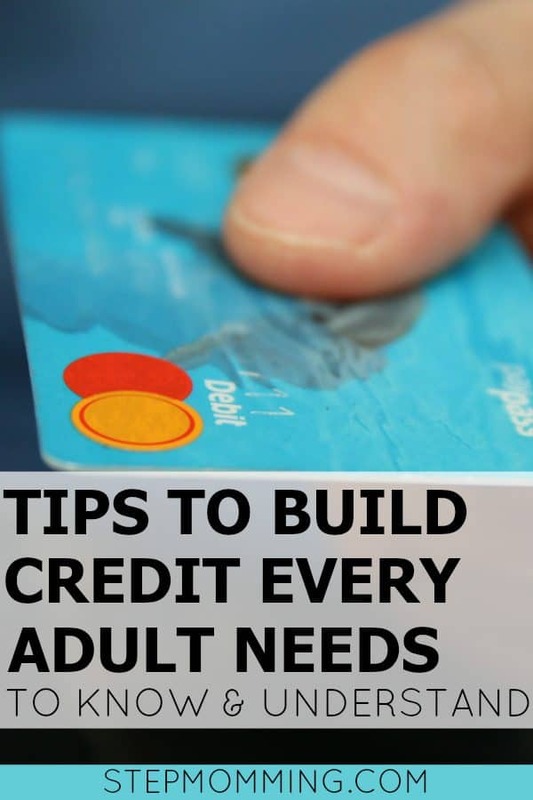 Though it will reduce your available credit slightly, it will increase your credit age. You could go back to another credit source and request a credit line increase if you cancel your Macy’s card. Finally, pay off credit where possible, of course. Reducing your total credit amount will help increase your credit score. Okay, but I have a LOT of debt. What do you recommend? We recommend the “snowball effect.” Let’s use an example to illustrate the methodology. The minimum monthly payment on each is $25, but Christy really hates interest, so she has been paying $100 on each. 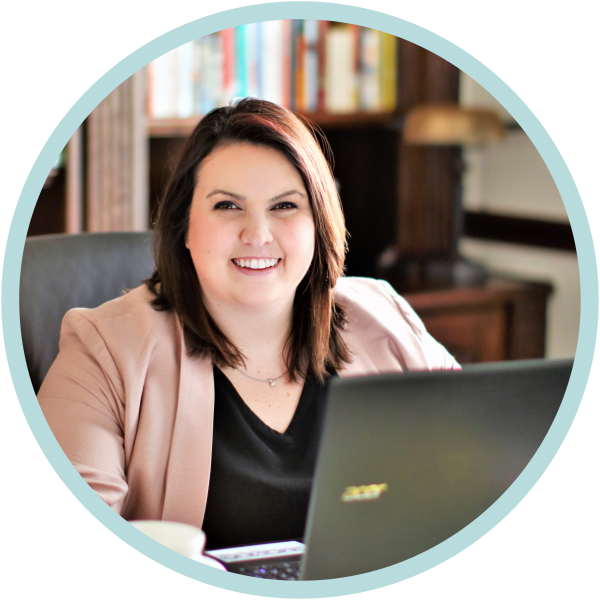 When Christy reads this blog, she finds out about the snowball effect and implements it immediately. Now, she has identified that her Macy’s Credit Card has the highest interest rate of all of her lines of credit, so she pays the minimum payment ($25) on the other 4 lines of credit and puts the other $400 she has available for credit this month toward her Macy’s bill. Once the Macy’s card has been paid off, she moves to the car loan and its 7% interest rate. She is now paying $25 each on her student loan, Visa credit card, and her furniture store line of credit. Her car loan is now getting $425 monthly until it is paid off, and then she will move to the Visa credit card. Though it will be tempting to start with the smallest balance line of credit so that you can have less accounts open, it’s actually wiser to start with the accounts with the highest interest rates and work your way back down. You’ll end up paying less interest this way. If it helps you mentally to pay off the smaller balances first so that you see less debt because there are less accounts, then work through your accounts in that order. If it helps your psyche, we’re all for it! Whatever helps you to get out of debt faster, we’re huge fans. So… What is credit really? Ultimately, credit is the ability to gain additional capital that can allow you huge opportunities. You can purchase homes or cars, you can borrow funds to start your business, and you can even borrow the money necessary to go back to school and get the degree you want. Having a good credit score opens doors for you. Credit is a responsibility. Don’t take a loan, credit card, or line of credit, lightly. We will admit that it’s exciting to see that new capital. You might be tempted to go buy that pair of shoes you’ve had your eye on or treat yourself to Starbucks a little more than normal, but we caution you against changing your spending habits. You have a responsibility and obligation to pay back everything you borrow, so even if it’s easy to swipe the credit card, it may not be as easy to pay the bill at the end of the month. When used wisely, credit is an amazing opportunity. When used immaturely, it’s a huge liability. We hope this helped to break it all down for you, Mamas!